Hair loss a.k.a. (alopecia) effects millions of people all over the world. Both men and women face this issue daily and take on the challenge in different ways. Whether you are just starting to see signs of hair loss or have been dealing with it for years we are here to help! This blog is dedicated to building a resource website around balding / hair loss as well as showing you how to embrace it. The best place to start on BaldGUYde is by reading the article: So You’re Balding, What Are You Gonna Do About It? And The Emotional Phases Of Hair Loss. You'll meet Jack the Bald Eagle, get a better understanding of the voice of this website and where to start on your journey. With that said, let's get a firm understanding of what hair loss is and how it happens. Hair loss is defined as the loss of or thinning of hair anywhere on your body. We also know this as (alopecia) or spot baldness, in which a person can experience partial or complete loss of hair all over their body. 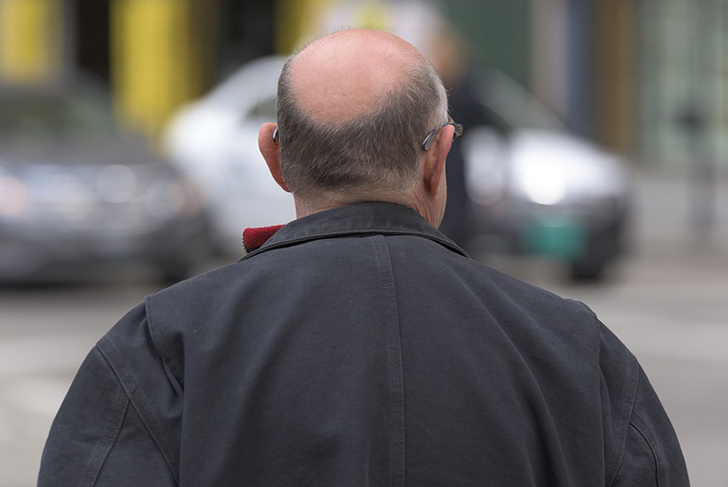 More common is Male-pattern baldness / Male-pattern hair loss on the scalp. Men experience this and we commonly refer to it as balding. In most cases it's caused by hair follicles thinning due to androgenic hormones which is hereditary (Be sure to thank the appropriate parents side of the family). Over 70% of men and 40% of women will face some version of hair loss in their lifetime. With the advancements of todays technology the options for dealing with hair loss are numerous; ranging from shaving your head to hair-transplants and everything in between. There are so many options available there is sure to be one to fit your lifestyle. With that being said, on this blog we are going to focus on the simplest, yet toughest option (for now) and that is Shaving Your Head Bald! We do realize that this is not for everyone, but we want to express how great of an option it is once you get comfortable with it. Let's focus on a few great reasons (or 12 reasons) to having zero hair on your head: No more money spent on haircuts / hair products, No more bed-head in the morning and the chance of picking up a starring role in an action film (like Jason Staham). Ah, yes, things are starting to look pretty appealing, wouldn't you agree? As the saying goes, "The water's fine, come on in", who knows you might actually like the Mr. Clean look.